The market opened slightly lower and continued its slide through the early morning, down ~1% as I write this. The markets have retreated to the 50dma, with the SPX slightly under and the NASDAQ a little above. Volume is tracking marginally higher than yesterday, but that is typical of down-days and is not at alarming levels. Unfortunately this price action continues to be ambiguous because this retreat/retrench can support both both the bull case and the bear case. BULL: The market doesn’t go straight up and a retest of the 50dma is not unusual given the two big up days we just had and the chorus of experts calling for a correction. The high volume sell-off on Tuesday and then today’s decline is shaking out the weak holders and letting premature bears set up short positions. With all the people calling for a correction, we are getting a lot of traders position themselves ahead of the ‘inevitable’ pullback and that is what is pressuring the market. But all this bearish trading is setting up for a short squeeze as all those positions have to be bought back when the market resumes higher. BEAR: The rally over the previous two days was nothing more than a short squeeze to punish anyone who sold into or shorted the sell-off prematurely. 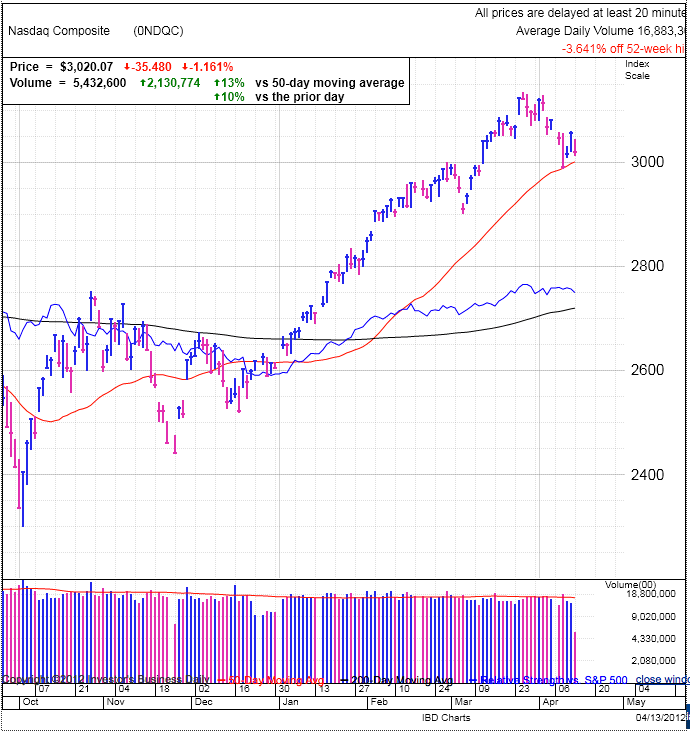 The market doesn’t like to be obvious, so what appeared to be the obvious collapse when the market broke the 50dma turned out to be a false start. After a quick short squeeze, we are ready to resume the move lower as the buy-the-dip crow is finally running out of money and we are ready to start the correction that is long overdue. Both sides have a very compelling argument and it will take a confirmation in either direction to demonstrate which camp has control and who is giving up the ghost. A material drop under the 50dma would show a lack of conviction from the buy-the-dip crowd. But holding at the 50dma for a few days will show support at these levels and there is a good chance the uptrend will resume. As I said yesterday, it could take two days to figure out what the market wants to do and it seems like we will need to wait until Monday, unless the market tips its hand this afternoon and makes a strong move either direction.